On the 13th April the British Motorcyclists Federation (BMF) published an article regarding the currently proposed motorcycle-specific EU Type Approval regulations. At Right To Ride we welcome this article based on good basic lobbying, easily laid out to read and understand. The article also links to their full briefing and position on Type Approval. 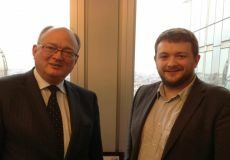 Responding to concerns voiced by several MEPs over confusion caused by the currently proposed motorcycle-specific EU Type Approval regulations, the BMF have travelled to Brussels in order to clarify the motorcyclist’s case. The Type Approval Regulation, called ‘Regulation for the approval and market surveillance of two or three-wheel vehicles and quadricycles’, is aimed primarily at improving and tidying up the type approval process but in its application has raised many fears amongst British motorcyclists and it these that the BMF’s Government Relations Executive, Chris Hodder, has clarified with MEPs. Confusion has arisen say the BMF because there has been a lot of ill-informed scaremongering over these proposals (sometimes throwing in issues that have nothing to do with this legislation) that have only served to confuse the whole issue, including MEPs. One MEP, Bill Newton Dunn, Liberal Democrat for the East Midlands and member of the Alliance of Liberals and Democrats for Europe Group, had approached the BMF for clarification as he had had numerous emails from constituents complaining about the regulations, but as they had not been specific, consistent or even accurate over their concerns, he found it difficult to form a view. Having clarified the situation with Mr Newton Dunn, a meeting was then held with Malcolm Harbour, Conservative MEP for the West Midlands and Chair of IMCO (Committee on the Internal Market and Consumer Protection) and a representative for Catherine Stihler Labour MEP for Scotland and a member of the IMCO committee and of the Group of the Progressive Alliance of Socialists and Democrats. While the BMF has its concerns, namely over ABS and sweeping anti-tampering proposals, there are positive things in this legislation that we should welcome say the BMF, such as CO2 measurement, universal access to repair and maintenance information and standardised diagnostic systems (i.e. warning lights for failed components). 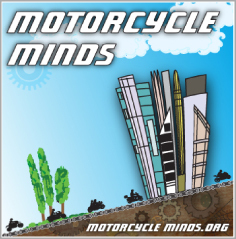 For too long motorcycles have lagged behind clean technologies and have become the poor relations in relation to green incentives such as zero road tax say the BMF, this will now give us an opportunity to prove a motorcycle’s green credentials to a sceptical audience. 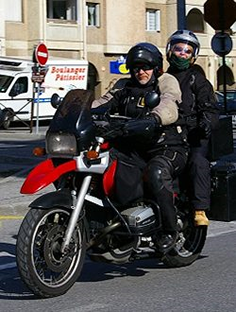 The FEMA (Federation of European Motorcyclists Associations) and the FIM (Fédération Internationale de Motocyclisme) organisations in which the BMF are strongly represented are also supportive of these measures while sharing the BMF’s concerns. Anti-lock braking systems (ABS) must be fitted to all bikes with engines above 51 cc. Anti-tampering measures to make it impossible to alter the powertrain of the vehicle (specific details are still unclear). Manufacturers must provide unrestricted access to vehicle repair and maintenance information for everyone, including independent dealers and repairers, to ensure that the vehicles are maintained safely. For cleaner engines, the Euro 3 standards will be extended to mopeds from 1 January 2016, and more stringent Euro 4 and Euro 5 standards for heavy motorcycles from 2016 with Euro 6 limits applying from 2020. The gradual introduction of increasingly advanced On-Board Diagnostics (OBD) systems to monitor malfunctions.